Although the fandroids would have you believe otherwise, a 4-inch iPhone really is just the right size, perfect even, for kerjillions of people. Similarly, Samsung and HTC’s improbably large phablets absolutely scratch zillions of itches, as well. However, is there a market for a really big iPad, a 13-inch iPad? Here we go boy and girls, a DigiTimes rumor. Whereas there have been whispers of a big iPad since late 2009, the information has been thin, generic and, frankly, the market didn’t seem ready. That said, long-time Apple OEM partner Quanta Computer has purportedly won an order for a big iPad — specifically, a 12.9-inch model — which is expected to hit the market in the second half of 2014. This jumbo-sized slab will be targeted at the education and enterprise markets, DigiTimes sources say. But does that make sense? Although Apple is best known for its 90 percent solutions, products designed for a wide demographic, the company does make highly-targeted products, like the Mac Pro for image and video professionals. Additionally, while the idea of a big 13-inch iPad might seem silly at first blush, a model with enough processing power — a quad-core A8 paired with an 8 or 16 core GPU and plenty of RAM — could be just the thing for an engineer, architect, graphic artist or video pro. 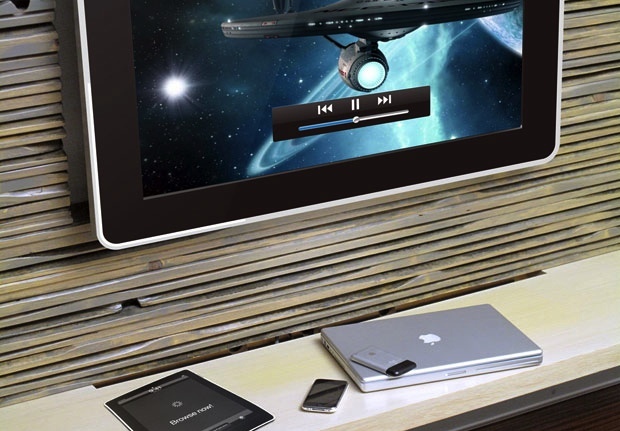 Pair it with a docking station and/or keyboard case, and the appeal becomes even more apparent. DigiTimes also adds that notable Taiwan original equipment makers Inventec, Quanta and Foxconn Electronics (aka Hon Hai) are competing to win the contract to make Apple’s long-anticipated iWatch. The report doesn’t provide any specifics about the specs or functionality. It is rumored, however, that pilot iWatch runs have been hampered by low yields, which has pushed back the anticipated mass production date until the quarter.